Position suitable drain pan under cylinder to catch draining fluid. and 4) from lines. Drain cylinder being removed as much as possible. Discard O-rings. 4. 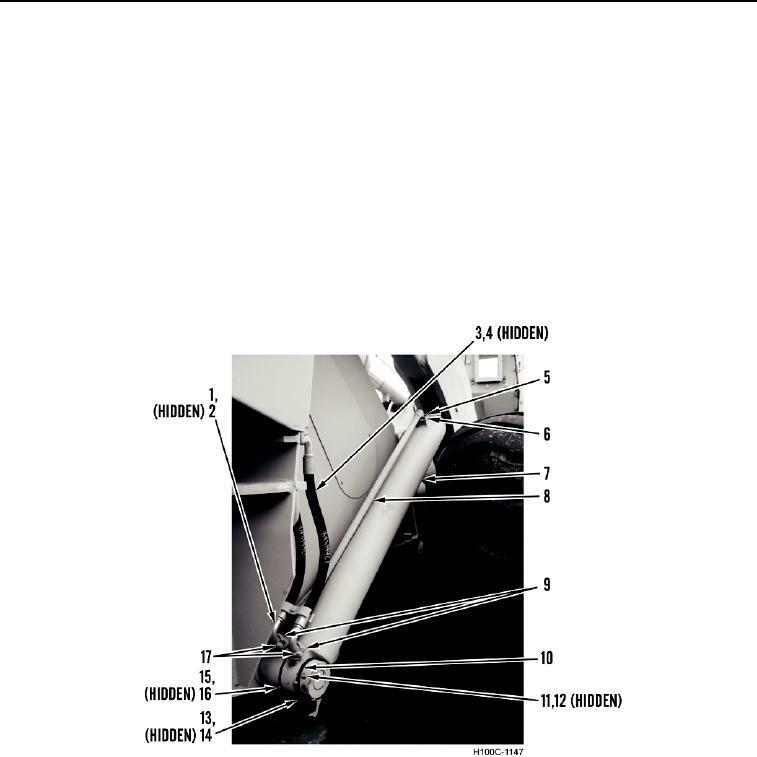 Remove nut (Figure 2, Item 12) and bolt (Figure 2, Item 11) from boom cylinder (Figure 2, Item 7). cylinder (Figure 2, Item 7).